Deep fry wings at 400 degrees for 12 minutes or until cooked and crispy; drain well. 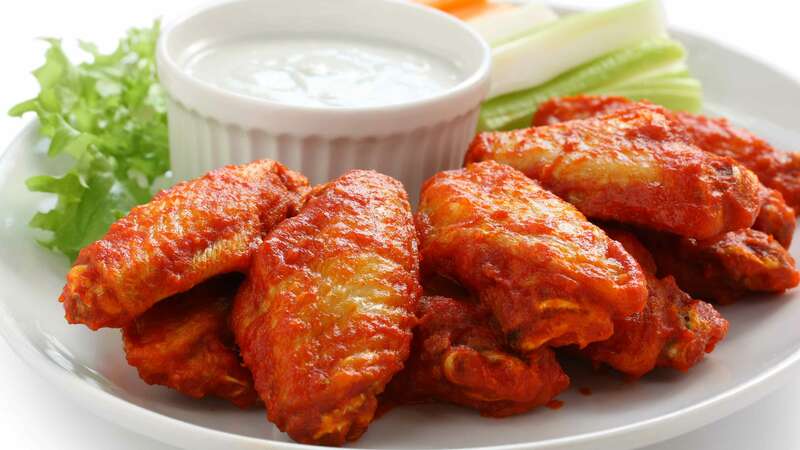 In a large bowl, toss cooked wings in red hot wing sauce. Serve with celery sticks and blue cheese dressing.